Finally, spring is here. With it come all the brightly colored berries and brilliant green fresh spinach and avocados. All the colors of spring! But avocado in a smoothie! I know when I first mentioned it to my husband; he literally took a step back 🙂 So I understand your trepidation’s! But if you just keep an open mind and give it a shot, you will realize how very adaptable an Avocado is. It doesn’t have any flavor or taste of its own so it just blends really well with rest of the ingredients and lets them shine. 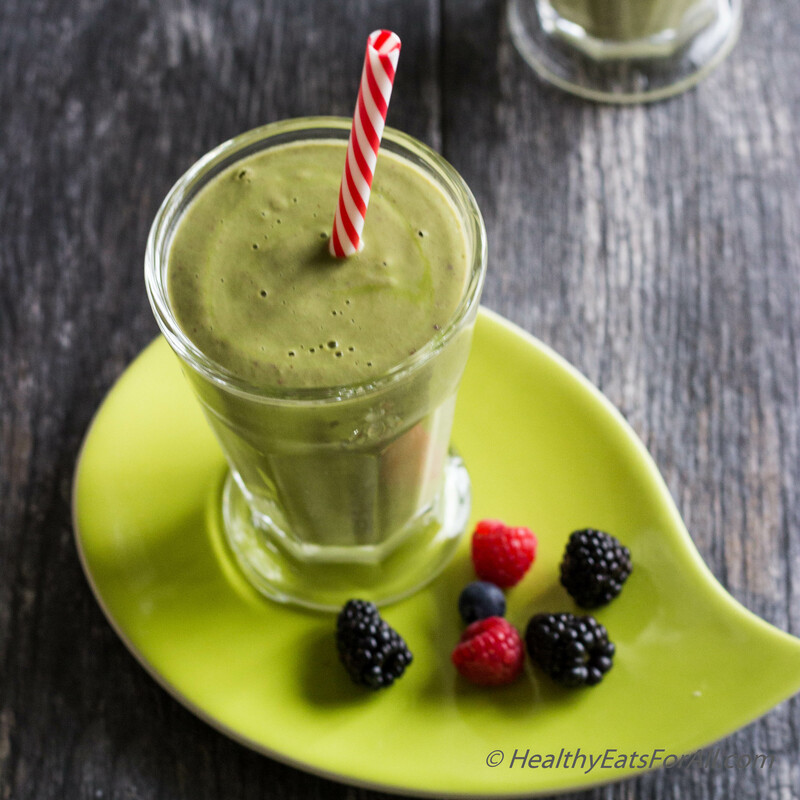 This smoothie is light, creamy and at the same time very filling. I have it for breakfast with a couple of boiled egg whites. Sometimes I even have it for lunch along with some sautéed vegetables. It has excellent levels of vitamins, protein, healthy fats and fiber which all fill you up. I had coconut milk at hand so I used that but whatever you have at hand; almond milk or even regular milk is fine. The nut butter is optional and you can use either almond butter or peanut butter. It is extremely simple to make, literally takes 5 minutes. So you have no excuse to skip breakfast if you are in a time crunch. 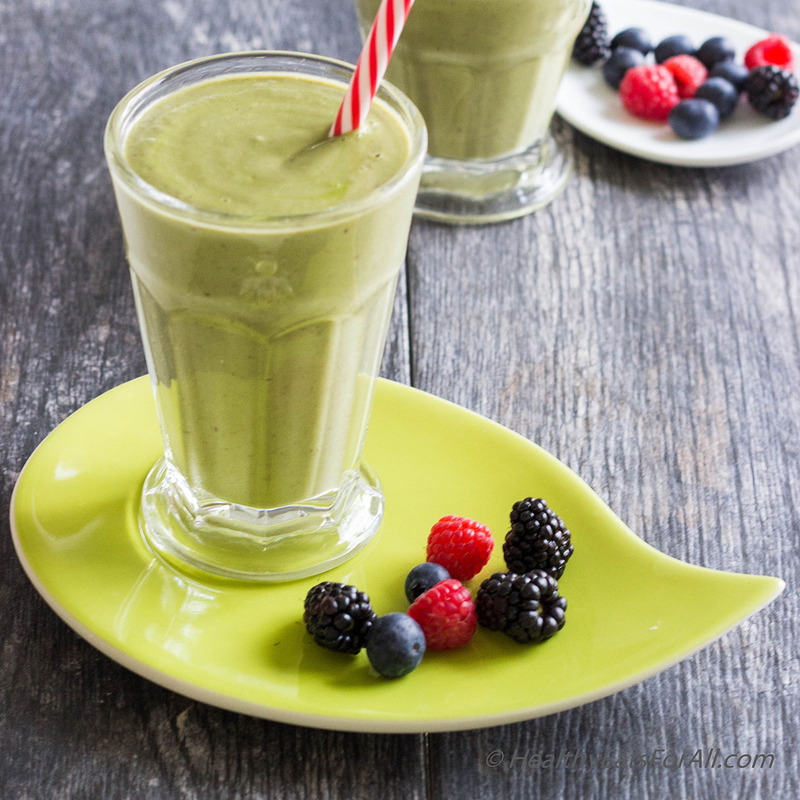 It is like drinking in your multivitamin but in the form of a delicious smoothie! 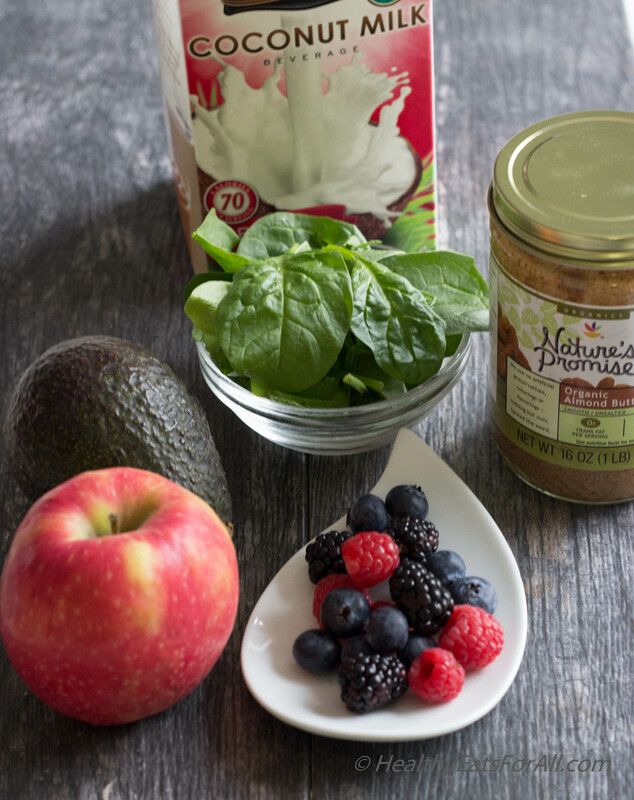 Add all the above ingredients to a blender or NutriBullet or Vitamix. Add about 3/4 cup or more of water/ice and blend really well.